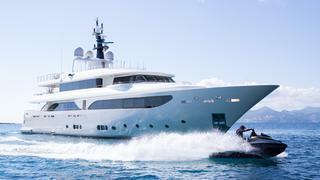 A yacht of superb pedigree, the stylish AVANT GARDE 2 hails from the CRN Shipyard. 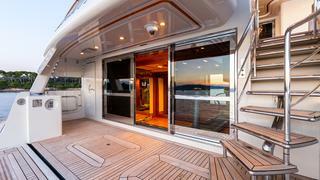 Her refitted interior and exterior are both inspiring and spacious. 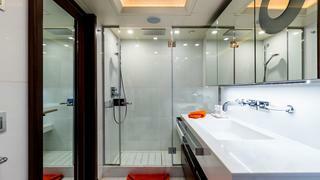 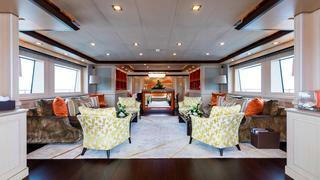 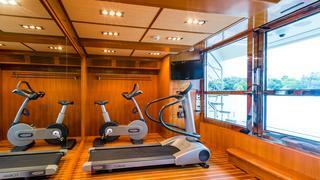 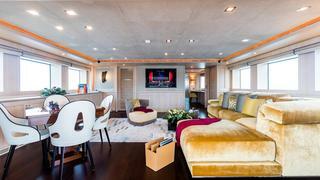 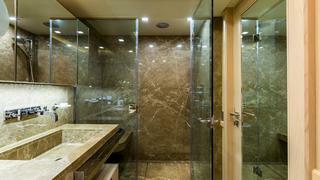 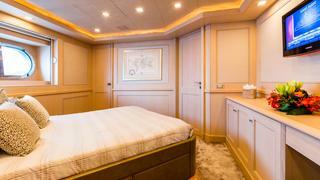 The Italian-styled interior is contemporary in design with a superb layout for charter. 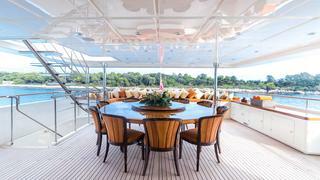 She was, however, built for al fresco living and her generous deck areas can play host to a range of activities - be it sunbathing, relaxing on one of her sumptuous lounging areas or dining in the shade. 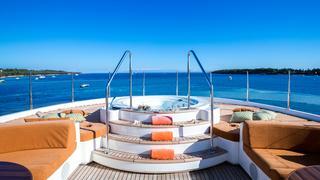 The extensive sun deck houses a raised jacuzzi surrounded by sunpads, own circular lounging areas, and a bar. 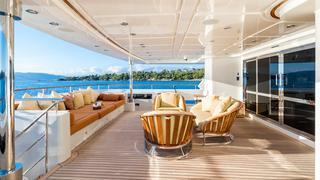 The upper deck is equally inviting and offers indoor/outdoor living with full width glass doors from the sky lounge opening to the upper aft deck and a large outdoor dining and seating area. 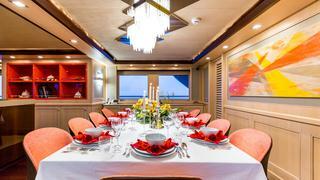 For more formal occasions she has an elegant dining area on the main deck adjacent to the main saloon.